The PCL-18B mobile column lift is sold in sets of two, four, six or eight. Each can be purchased as a low or high voltage car ​lift. 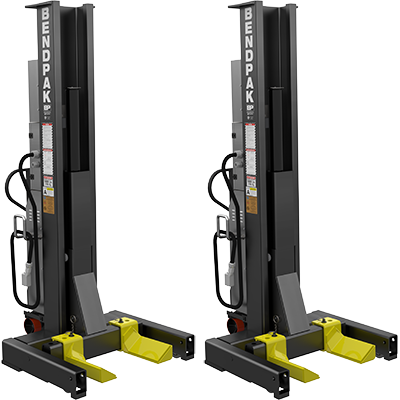 Additionally, each post in this super-duty portable ​lift system has an 8,165-kg. capacity all on its own. When you put eight of them together, they are engineered to withstand an incredible ​65,317-kg. The columns are shared when ​portable column lifts are fitted together, reducing the lift’s footprint and drastically increasing your usable floor space. 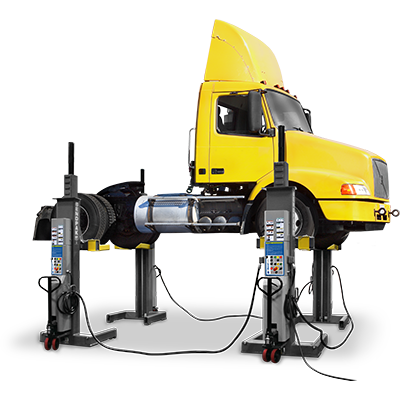 This PCL-18B mobile column lift system comes in a set of 2. When combined, the system lifts up to 16,329-kg. A set of 2 is the perfect way to expand your lifting capabilities on vehicles with three or four axles. Sets of 4, 6 and 8 are available. This PCL-18B mobile column lift system comes in a set of 4. When combined, the system lifts up to 32,659-kg. Ideal for two-axle vehicles. Sets of 2, 6 and 8 are also available. This PCL-18B mobile column lift system comes in a set of 6. When combined, the system lifts up to 48,988-kg. Ideal for three-axle vehicles. Sets of 2, 4 and 8 are available. This PCL-18B mobile column lift package comes in a full set of 8. With 8 lifts, raise up to 65,317-kg. of vehicle. With that much power in your shop, your lifting abilities are nearly infinite. Ideal for four-axle vehicles. Sets of 2, 4 and 6 are available. The PCL‐18B series proudly adds to BendPak’s distinctive history of building the best car lift series money can buy. That includes evolutionary steps in ergonomics, power, safety, durability and performance. 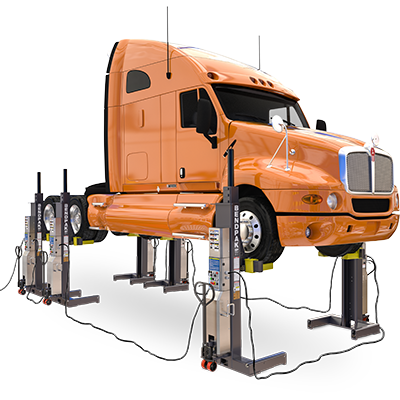 These portable column lifts, designed exclusively for heavy‐duty fleet service, are precisely suited for the toughest applications. That the lift is portable and surface-mounted means no excavation or expensive site preparation is necessary. 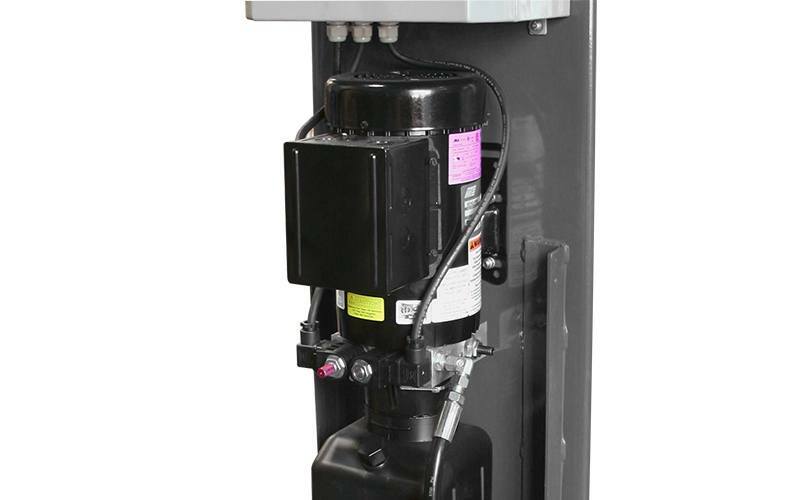 The PCL‐18B mobile column lift features a user‐friendly and revolutionary design that reduces operator fatigue, resulting in a car lift that’s easier to set up and use, and it rises faster than competitive units. It allows your technicians to get massive vehicles in the air and back on the road faster than ever before. 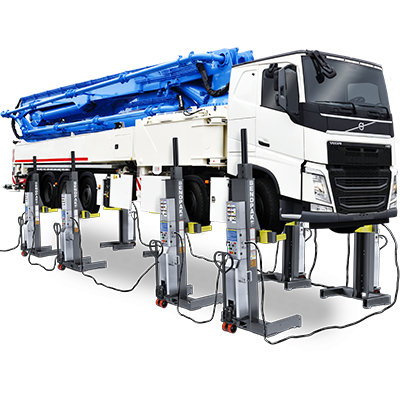 Because the PCL‐18B uses an energy-efficient, on‐demand electric‐hydraulic power system, it requires no constant recharging, so it’s ready around the clock to provide measurably longer work cycles than any other mobile column lift in its class. The PCL‐18B features an ergonomic steering control with a built‐in hydraulic‐jack that elevates the lift assembly in seconds. The 180‐degree handle with familiar pallet‐jack controls provides exceptional manoeuvrability in compact areas. 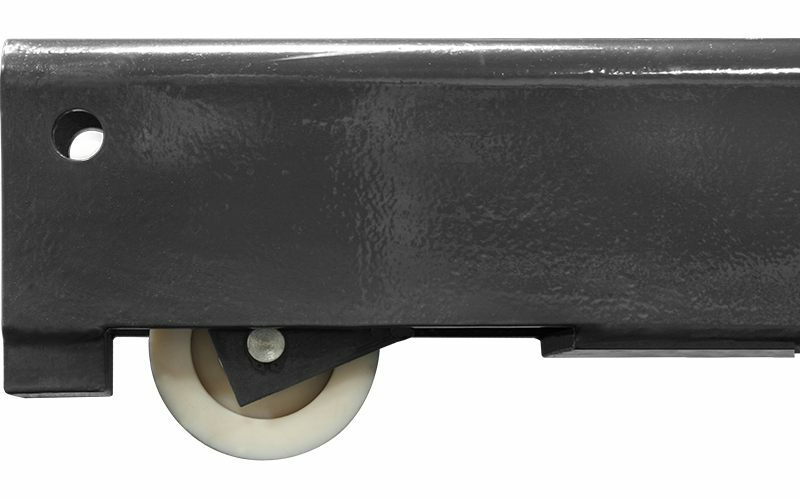 Tandem 8" diameter polyurethane covered steel wheels with sealed roller bearings easily roll over dirt and debris. With an effortless three strokes of the handle, the car lift column is raised off the floor for instant portability. Once the column is positioned, the convenient spring‐loaded handle returns efficiently to the upright position automatically. In the event the lift is raised with the steering wheels in the elevated position, an overload bypass valve protects the steering control unit. 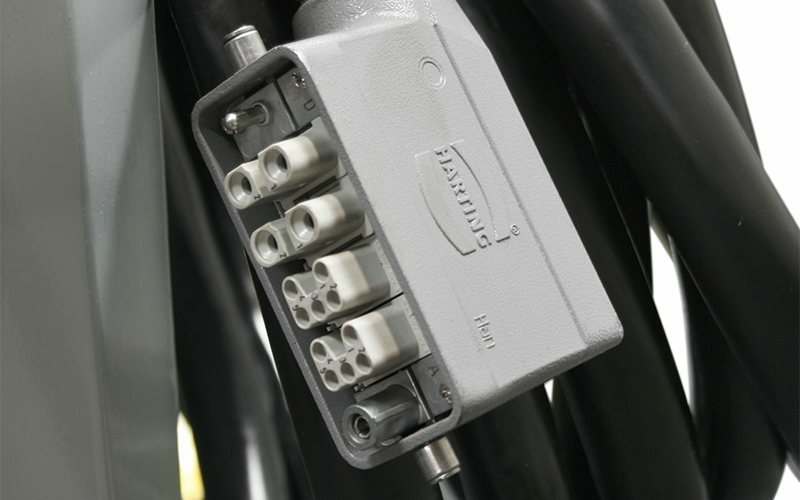 The PCL‐18B uses just three, 30’ control cables (as opposed to four like other brands), so the front or back of the lift is always accessible and free of interconnecting cable obstruction. Save valuable time by driving vehicles in and out of the work area without disconnecting and reconnecting cables. Low‐pressure HVLP direct‐drive cylinders eliminate the need for lifting chains or expensive‐to-maintain screw‐drive systems. Inverted hydraulic cylinders mean the chrome piston rods are protected from debris and damage at all times, which extends service life and reduces maintenance costs substantially. Independent self‐contained electric‐hydraulic power units (one per column) are fast, smooth and reliable, and each includes a motor, gear pump, reservoir, internal valving, load hold check valve and pressure relief circuit in a reliable yet easily serviceable assembly. 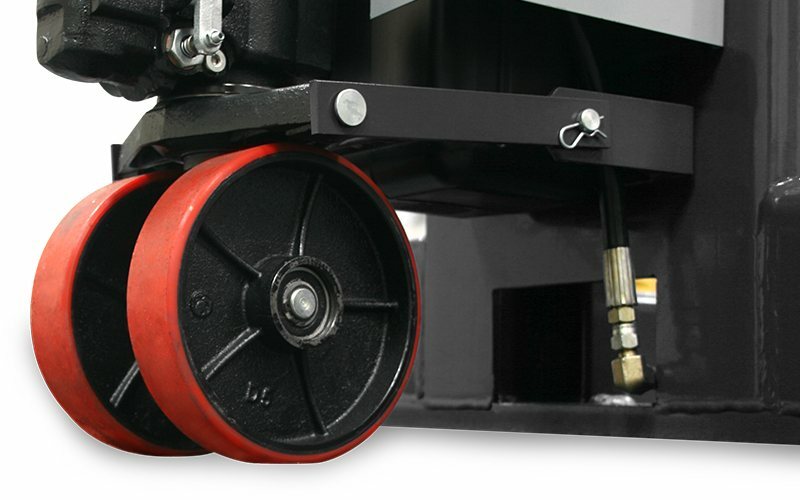 The PCL-18B mobile column lift features 6" diameter Crush‐Ride™ front wheels with an adjustable active leaf spring design that provides variable up‐front ground clearance for smooth travelling over uneven floors, deteriorating asphalt, expansion seams and other thresholds. You set the front wheel ride‐height to whatever setting best suits your conditions. Turn the adjusting screw to the max setting and the front legs rise nearly 3" off the ground to facilitate roll‐on, roll‐off loading of trailers and rollback trucks or to make easy passage of drainage gutters or floor irregularities. During operation, the front wheels automatically compress and settle down, providing firm, stable support of the lift column. Our mobile lift features shut-off switches on each column to quickly cut power to each column in the event that any unsafe condition is detected by the operator. Operator convenience is a key parameter in the design of the PCL‐18B. The PLC‐based control system is operated by means of intuitive push‐button controls for continuous synchronisation of all columns. All operator instructions, symbols and warnings are printed in clear text and are easy to understand. The PCL‐18B allows you to operate, view and change operation parameters directly from each individual full‐control panel. Each column is equipped with an emergency shut-off switch. If a system error is detected or the life of a consumable part is nearly expired, fault code indicators are instantly lighted. This allows the user and service coordinator to take appropriate action. If critical faults are detected, all operation functions will be disabled until the affected condition is corrected. A Direct Logic™ PLC (Programmable Logic Control) and other off‐the‐shelf components from top-tier hardware manufacturers control operation functions and column synchronisation. Other lift systems may use dedicated proprietary printed circuit board specific to that brand, which can be very expensive should replacement ever be needed—if and when the parts become available. 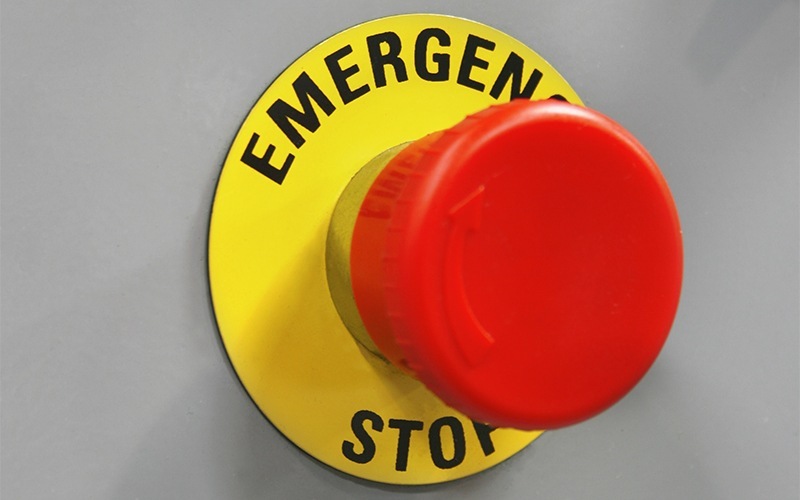 All control system hardware conforms to CE, CSA, ANSI, ASME, OSHA and UL regulations. Select which lift columns will operate as a group, in tandem or as individuals. Single mode results in commands from specific lift columns, while group (i.e., team) and tandem (i.e., pair) modes result in commands from any column designated in their respective group. Initiates the lift rise sequence. Automatic synchronisation via auto‐level corrections is made throughout all operations, in addition to inadvertent loss-of-motion detection. Initiates the lift lowering sequence. If the lift is parked on the locks, the lift will first automatically rise slightly to clear the locks before descending. If the lift is not parked on the locks, the lift will descend immediately with no initial upward movement. During the lowering sequence, the car lift will initially descend at a slowed (turtle) speed, and then automatically initiate to full (rabbit) speed after a short delay. Automatic synchronisation via auto‐level corrections is made throughout all operations in addition to inadvertent loss-of-motion detection. Makes sure that if for any reason the lift operation exceeds a specified out‐of‐level tolerance threshold, all lift columns stop and display an out‐of-level tolerance error. 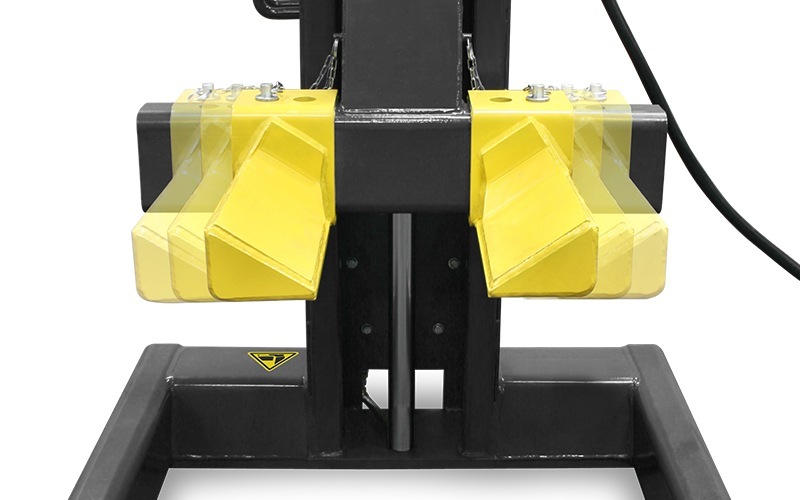 To clear the error, an offending lift would be put in SINGLE mode and raised or lowered accordingly to reduce the difference in lift heights. Initiates the mobile column lift locking (parking) sequence. Each lift column will slowly settle onto the mechanical stops. All parking and lowering speeds are controlled by you. When trying to settle a bus on tall jack stands, go ahead and opt for the slower "turtle" speed for a safe, controlled descent; when the job’s done and it’s time to remove the vehicle from the car lift select the faster "rabbit" speed for a rapid, controlled descent. We’re more than just an automotive equipment company; we’re a dedicated and highly-focused team of experts whose primary commitment is to provide our customers with the best possible after-the-sale service available. Our award-winning Certified Service™ program is how we keep customers smiling long after the initial purchase of their mobile column lift. When the unexpected happens, BendPak Certified Service™ is your first and only step toward making it right. Even though our business starts with a top-quality product, we understand that it is the support and service we provide after the sale that keeps you and your business running at peak efficiency.